India-Russia cooperation in the field of peaceful uses of outer space dates back to about four decades. The USSR launched India’s first satellite in the 1970s. Russia is set to develop its space cooperation with India and China, the head of the Russian space agency Roscosmos Oleg Ostapenko said on Thursday. “Recently, we received an invitation from Japan to discuss an array of questions,” he added. The announcement was made amid threats of Russia’s western partners to freeze or cut cooperation with Russia amid tensions over Ukraine and Crimea secession. NASA threatened to cut space ties with Russia, but Roscosmos has yet received no official notifications. The Russian space chief said that despite belligerent rhetoric, Russia’s space cooperation with European partners remains unharmed. “We are now communicating with the space agencies of France, Germany and, particularly, with the European [Space Agency],” he told journalists. Russia and its BRICS partners India and China have a long history of cooperation, including in space. In July 2004, Russia and India signed a protocol to boost cooperation in space including space launches and joint development of the GLONASS satellite navigation system. India-Russia cooperation in the field of peaceful uses of outer space dates back to about four decades. In the 1970s-80s, the USSR launched the first Indian satellites- Aryabhatta and Bhaskara from Baikonur. India’s first cosmonaut Rakesh Sharma travelled to the Soviet Salyut-7 space station in 1984. India’s space ambitions, since its inception in the early 1960s, have been mainly focused on practical applications, according to Brahmand.com. The country’s pioneering space agency, Indian Space Research Organisation (ISRO) has worked in favour of applications like communications and remote sensing that promised practical benefits to the Indian people. But, for the last few years Indian space programme has taken a major leap. It has moved beyond its traditional missions to focus on new areas, like India’s first lunar mission (Chandrayaan-1), navigation, and joint ventures in space science. 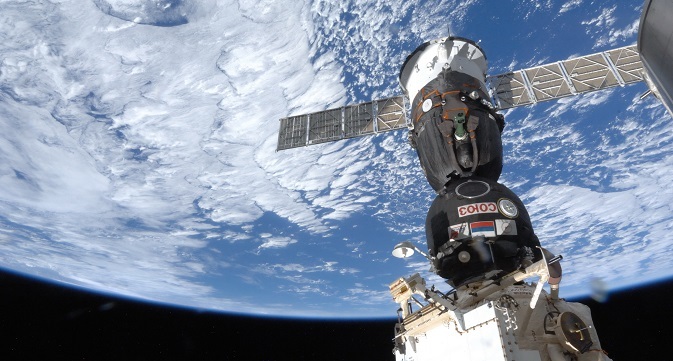 Deputy head of Roscosmos Sergey Savelyev said in mid-April that Russia and China are coordinating on major future research projects in space and agreed last year to expand it.